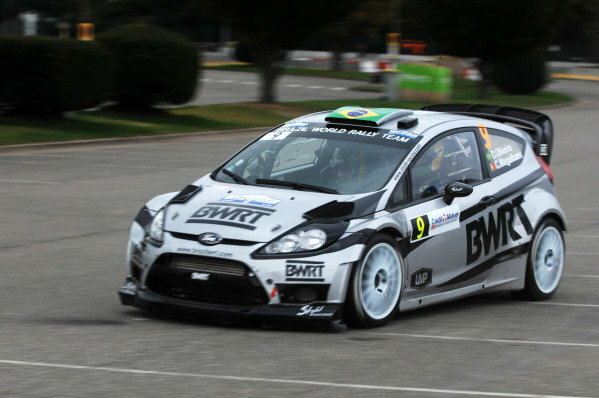 Daniel Oliveira (BRA) and Carlos Magalhaes (POR), Ford Fiesta RS WRC on the shakedown stage.<br /> FIA World Rally Championship, Rd11, Rallye De France, Strasbourg, Alsace, France, Shakedown, Thursday 4 October 2012. 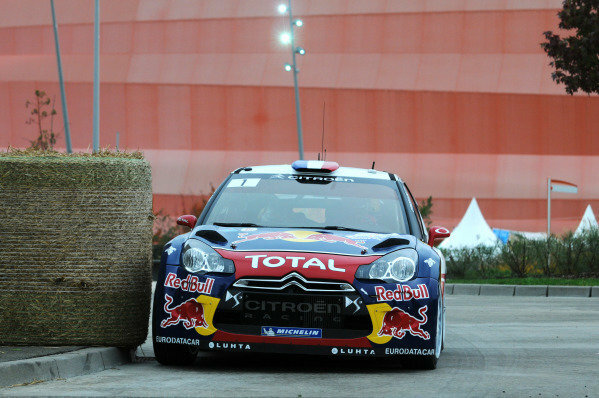 Mikko Hirvonen (FIN) and Jarmo Lehtinen (FIN), Citroen DS3 WRC on the shakedown stage.<br /> FIA World Rally Championship, Rd11, Rallye De France, Strasbourg, Alsace, France, Shakedown, Thursday 4 October 2012. 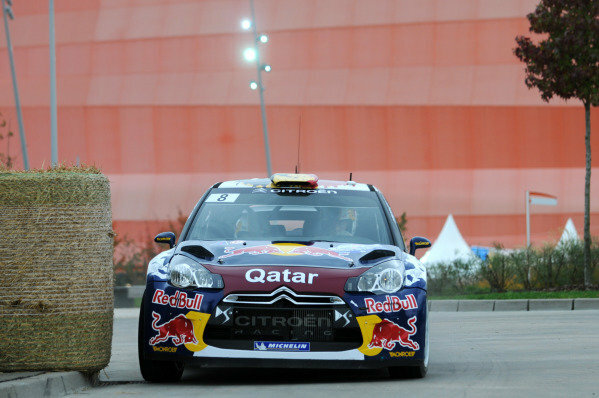 Thierry Neuville (BEL) and Nicolas Gilsoul (BEL), Citroen DS3 WRC on the shakedown stage.<br /> FIA World Rally Championship, Rd11, Rallye De France, Strasbourg, Alsace, France, Shakedown, Thursday 4 October 2012. 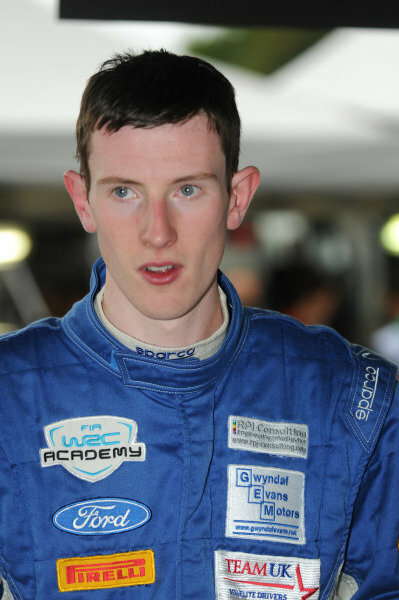 Elfyn Evans (GBR).<br /> FIA World Rally Championship, Rd11, Rallye De France, Strasbourg, Alsace, France, Shakedown, Thursday 4 October 2012. 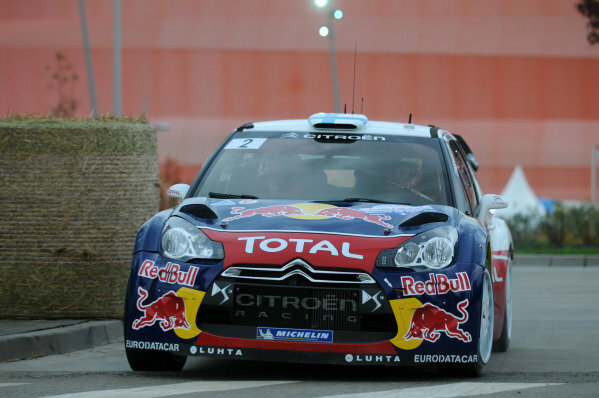 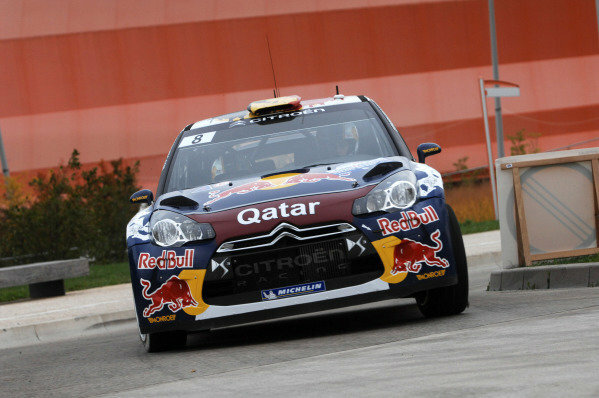 Sebastien Loeb (FRA) and Daniel Elena (MON), Citroen DS3 WRC on the shakedown stage.<br /> FIA World Rally Championship, Rd11, Rallye De France, Strasbourg, Alsace, France, Shakedown, Thursday 4 October 2012. 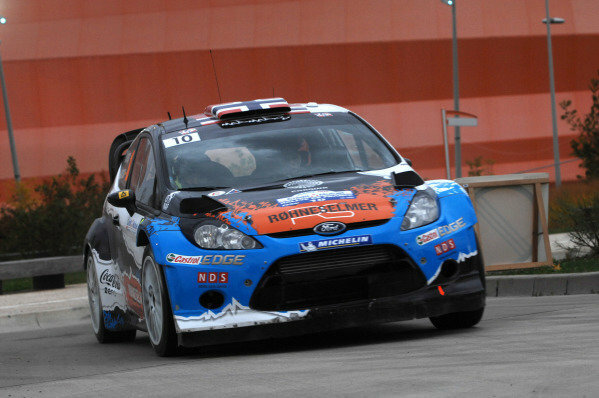 Petter Solberg (NOR) and Chris Patterson (GBR), Ford Fiesta RS WRC on the shakedown stage.<br /> FIA World Rally Championship, Rd11, Rallye De France, Strasbourg, Alsace, France, Shakedown, Thursday 4 October 2012. 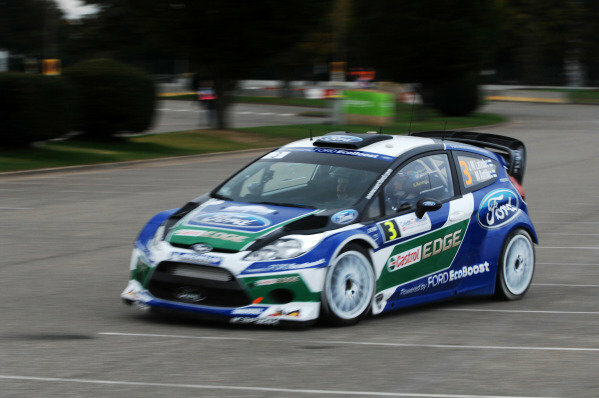 Mads Ostberg (NOR) and Jonas Andersson (SWE), Ford Fiesta RS WRC on the shakedown stage.<br /> FIA World Rally Championship, Rd11, Rallye De France, Strasbourg, Alsace, France, Shakedown, Thursday 4 October 2012. 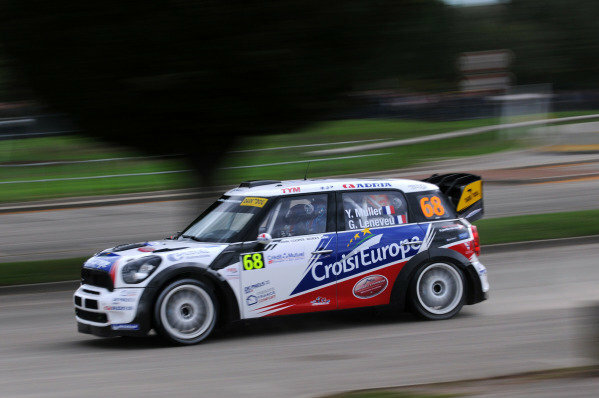 Yvan Muller (FRA) and Guy Leneveu (FRA), Mini JCW WRC on the shakedown stage.<br /> FIA World Rally Championship, Rd11, Rallye De France, Strasbourg, Alsace, France, Shakedown, Thursday 4 October 2012. 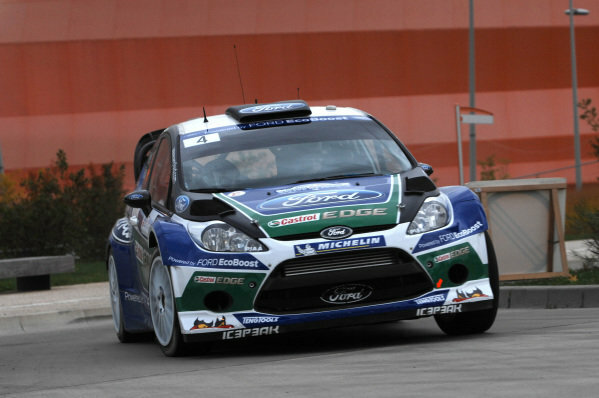 Jari-Matti Latvala (FIN) and Miikka Anttila (FIN), Ford Fiesta RS WRC on the shakedown stage.<br /> FIA World Rally Championship, Rd11, Rallye De France, Strasbourg, Alsace, France, Shakedown, Thursday 4 October 2012. 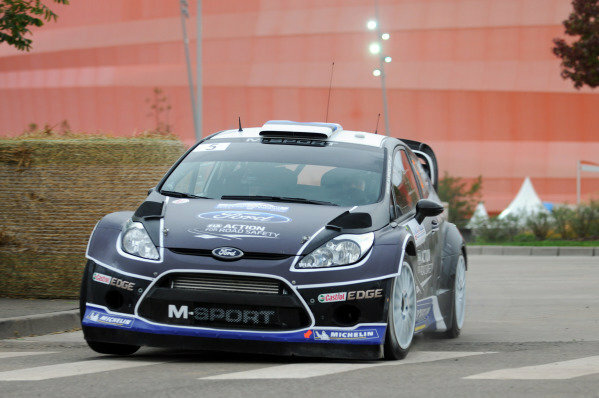 Elfyn Evans (GBR) and Phil Pugh (GBR), Ford Fiesta R2 on the shakedown stage.<br /> FIA World Rally Championship, Rd11, Rallye De France, Strasbourg, Alsace, France, Shakedown, Thursday 4 October 2012. 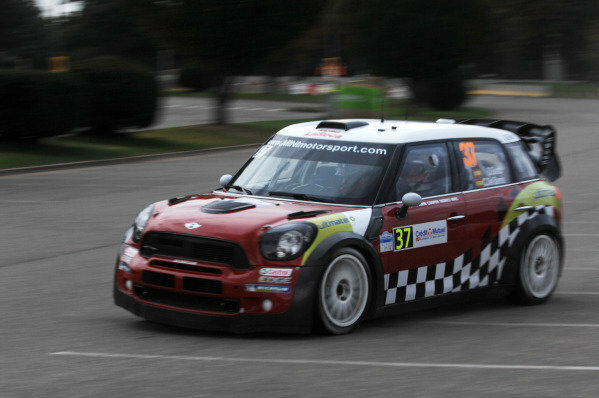 Dani Sordo (ESP) and Carlos Del Barrio (ESP), Mini JCW WRC on the shakedown stage.<br /> FIA World Rally Championship, Rd11, Rallye De France, Strasbourg, Alsace, France, Shakedown, Thursday 4 October 2012. 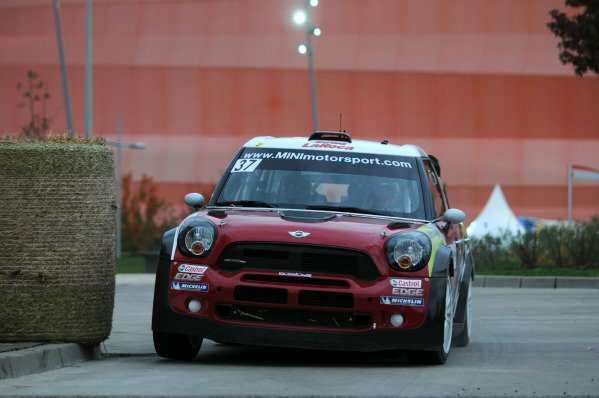 Romain Dumas (FRA) and Matthieu Baumel (FRA), Mini JCW WRC on the shakedown stage.<br /> FIA World Rally Championship, Rd11, Rallye De France, Strasbourg, Alsace, France, Shakedown, Thursday 4 October 2012. 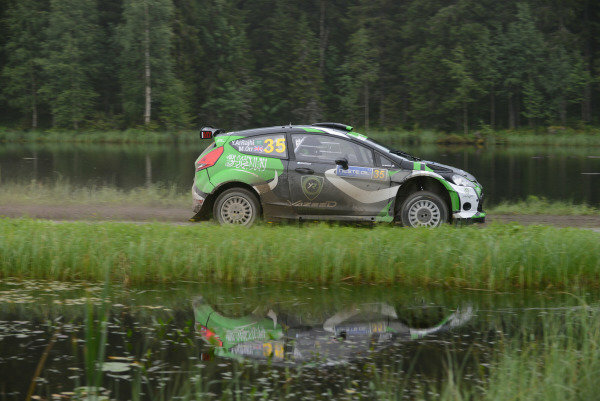 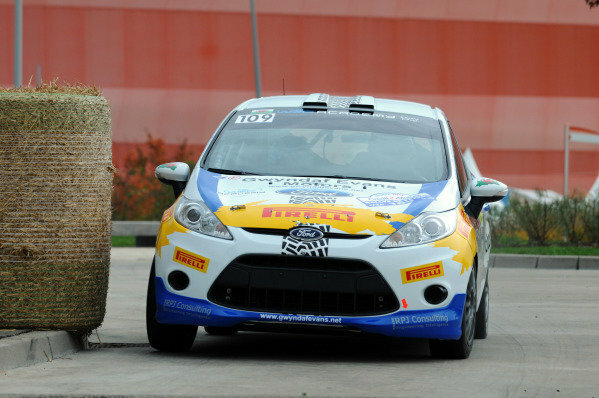 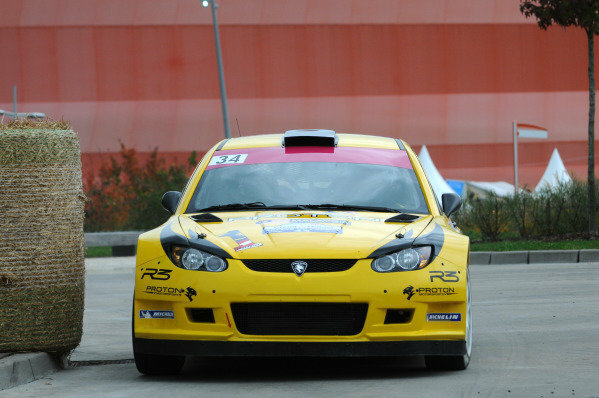 Andreas Aigner (AUT) and Detlef Ruf (AUT), Proton Satria Neo S2000 on the shakedown stage.<br /> FIA World Rally Championship, Rd11, Rallye De France, Strasbourg, Alsace, France, Shakedown, Thursday 4 October 2012. 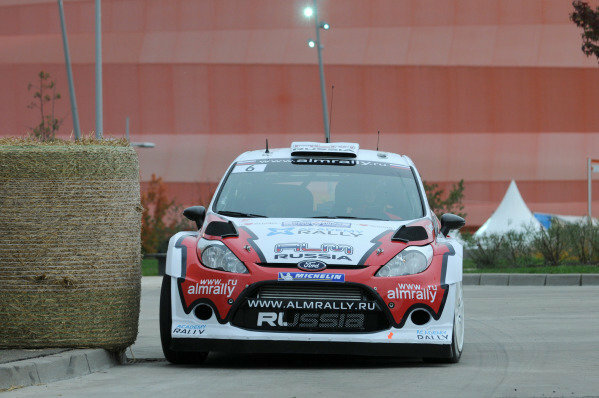 Evgeny Novikov (RUS) and Ilka Minor (AUT), Ford Fiesta RS WRC on the shakedown stage.<br /> FIA World Rally Championship, Rd11, Rallye De France, Strasbourg, Alsace, France, Shakedown, Thursday 4 October 2012. 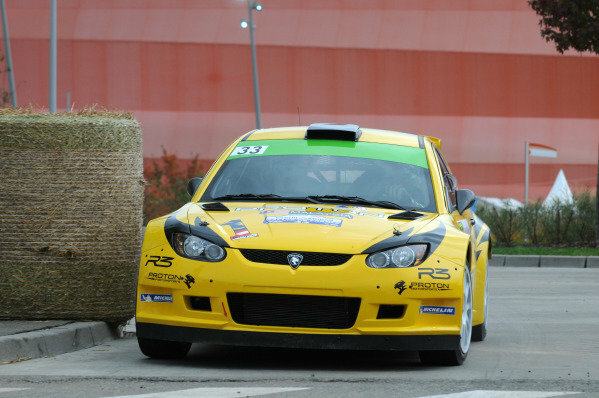 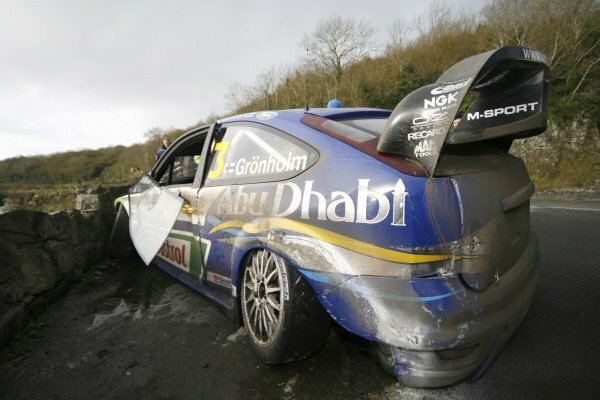 PG Andersson (SWE) and Emil Axelsson (SWE), Proton Satria Neo S2000 on the shakedown stage.<br /> FIA World Rally Championship, Rd11, Rallye De France, Strasbourg, Alsace, France, Shakedown, Thursday 4 October 2012. 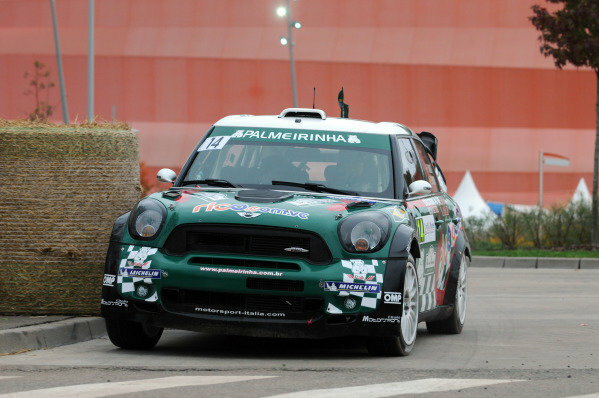 Paulo Nobre (BRA) and Edu Paula (BRA), Mini JCW WRC on the shakedown stage.<br /> FIA World Rally Championship, Rd11, Rallye De France, Strasbourg, Alsace, France, Shakedown, Thursday 4 October 2012. 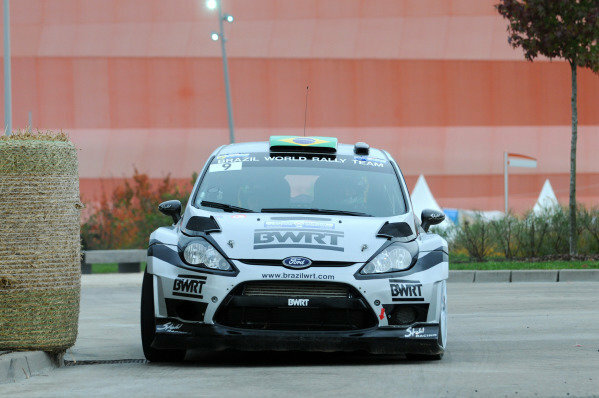 Ott Tanak (EST) and Kuldar Sikk (EST), Ford Fiesta RS WRC on the shakedown stage.<br /> FIA World Rally Championship, Rd11, Rallye De France, Strasbourg, Alsace, France, Shakedown, Thursday 4 October 2012. 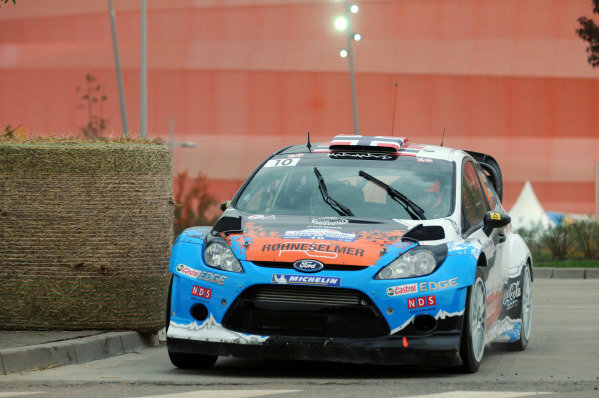 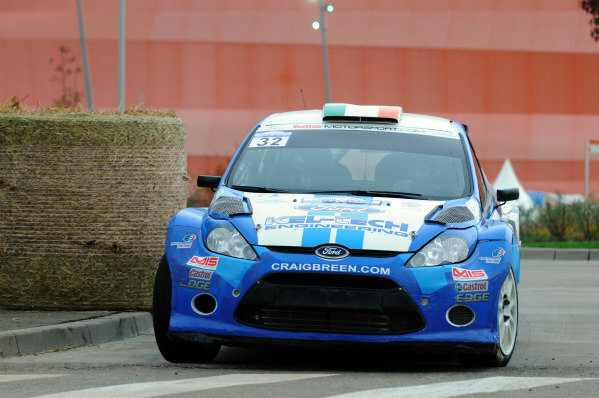 Craig Breen (IRE) and Paul Nagle (IRE), Ford Fiesta S2000 on the shakedown stage.<br /> FIA World Rally Championship, Rd11, Rallye De France, Strasbourg, Alsace, France, Shakedown, Thursday 4 October 2012.